As you may know, The Maui Forest Bird Recovery Project is our Partner of the Month this November! 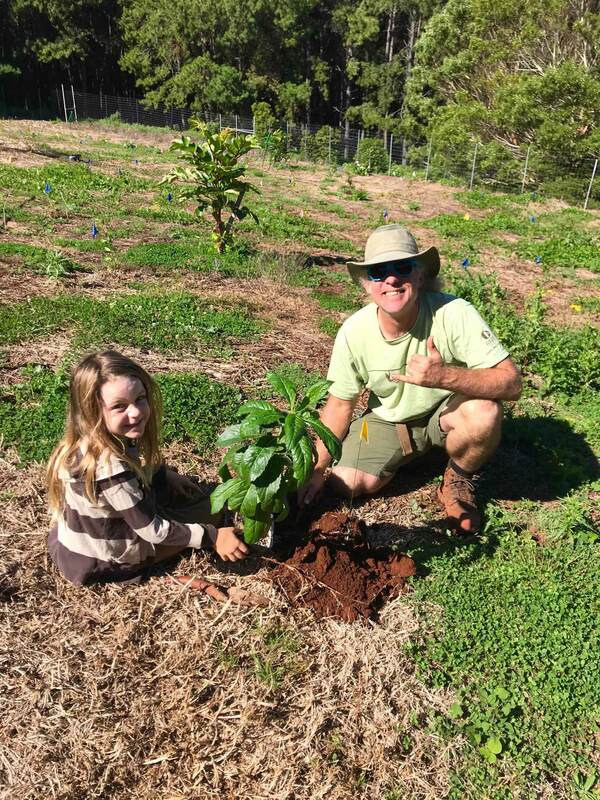 Maui’s forest ecosystems are near and dear to the hearts of all of us here at Skyline Eco-Adventures, especially as they provide the home to our very first zipline course on the slopes of Haleakalā. Protecting and restoring this land and all of Maui’s endemic forests has been central to our mission from the beginning. The Maui Forest Bird Recovery Project (MFBRP) is centered in science and committed to the reforestation of Hawaii’s endemic trees to provide habitat for the endangered native bird species. Just next door to the MFBRP office is the Maui Bird Conservation Center, which is a vital part of the project and focuses on captive breeding and the reintroduction of endangered Hawaiian birds. 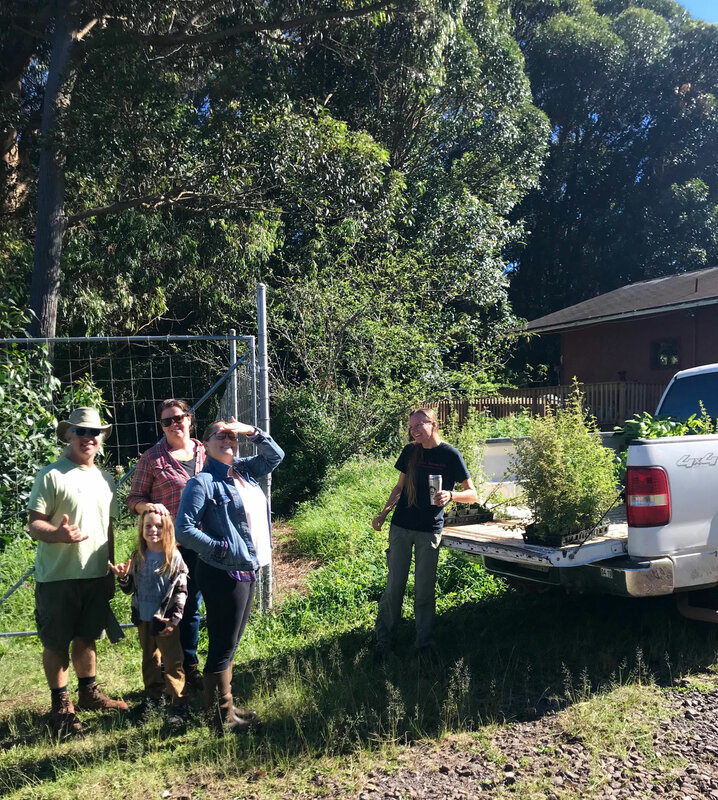 At the beginning of this month, a few members of the Skyline team met up with the Maui Bird Conservation Center crew and volunteers for a morning of tree planting on a plot just beside an enclosure for the ‘Alala (Endangered Hawaiian Crows). With the sweet coos of the ‘Alala cheering us on, we were able to plant over 80 native trees! The goal is for these trees to grow into a mature native forest and provide habitat for the endangered birds, possibly even those currently in the captive breeding program! To learn about upcoming volunteer opportunities like this follow Skyline Conservation Initiative on Facebook! If you are interested in learning more about the Maui Bird Conservation Center, you are in luck as there is a rare opportunity on Dec 1st & 2nd to visit the center during their open house. This only happens once a year so don’t miss out! Another great opportunity is coming up to support our Partner of the Month, the Maui Forest Bird Recovery Project. On Nov 30th from 6-10pm, join the MFBRP for their Maui Brewing Company Pint Night FUNDRAISER. Half the pub profits from house beers sold that night go towards protecting native birds. Maui Brewing Company Brewpub is located at the Kahana Gateway Shopping Center, just north of Lahaina. Address is 4405 Honoapi’ilani Highway, Lahaina, Maui 96761.